They were sentenced to 20+ years on what family members say were trumped-up drug charges. 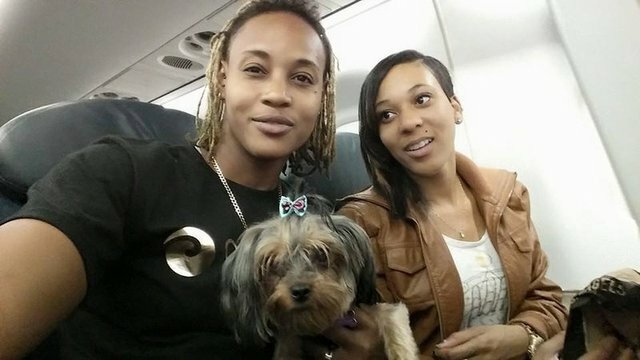 (Via WIVB) – Monique Coverson and her partner, Larissa are back home in Georgia. They returned home after a judge found them innocent. Back in 2015, after sitting in prison without charges, the two were sentenced 20 to 25 years after a legal, tobacco-like substance was found in their Kuwait home. Coverson said the substance was none of theirs in the first place. She says she distinctly remembers hearing the loud bangs of people forcing themselves into their home. She also remembers the January day when they were given their sentence.”My life just went blank right in front of my eyes,” Coverson said. The two women never left each others’ side while in prison. Coverson says there was no freedom inside the prison. They were subject to whatever they were told. However, the two kept strong and kept God with them at all times. Get the rest of this story at WIVB.